Artificial Twinning is a term used in domestic adoptions to describe the process of adopting two children at the same time who are less that nine months apart in age and biologically unrelated. Most domestic adoption and social welfare agencies prohibit the practice because it is so stressful to adopting parents and counter productive for the children. In domestic adoption, the only way to complete the adoption of "artificial twins" successfully is to work without official approval. 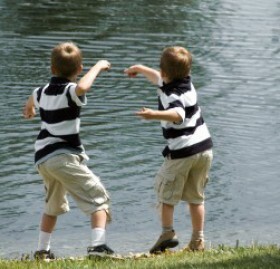 Artificial Twinning by International adoption standards is no different from the domestic definition except that the practice is done regularly and even encouraged by the adoption agencies. There are a number of reasons for this change in philosophy, some of them altruistic, some self-serving. Our task as informed adopting parents of children from foreign countries is to question the validity of this philosophical change. The success of future placements depends on it. International Adoption, by its nature, is much different from domestic adoption. Governing rules and regulations are more relaxed and flexible in foreign countries whose infrastructures are overtaxed with homeless children in need of care and families. Russia's increasing orphan population is caused by economic and social deterioration; China's to its continued "one child" policy, which condones the abandonment of baby girls. These two giants currently top the list of placing-countries that allow their orphans to emigrate. Some believe that home study requirements for international adoptions are much more lenient. Social workers scrutinize us less closely. There are no INS prohibitions against multiple adoptions. Placements are made very quickly. 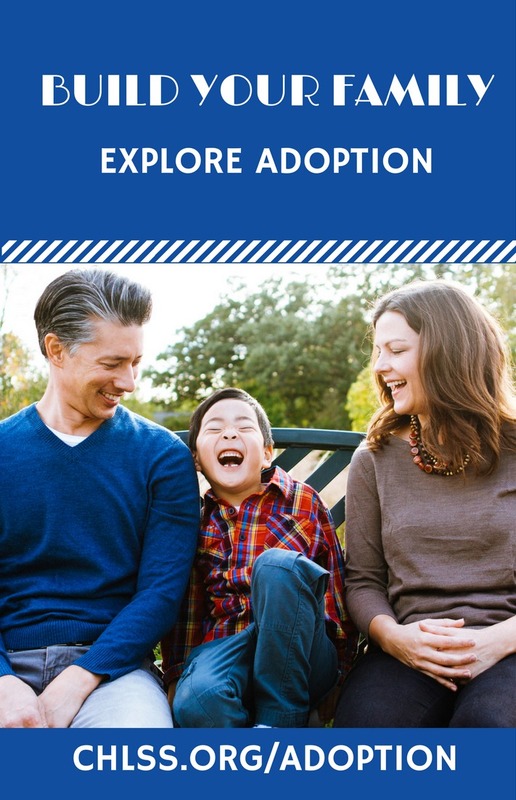 Foreign adoptions are easier to complete successfully. Often, adopting parents are given pictures, videos, and medical histories of two or more children from which to choose, or lists of pictures of "waiting children". Some people even feel a need to economize by adopting two at once, thus saving travel costs later on. In many cases, there is an agency discount for taking two children instead of one. All of these conditions can tempt adopting parents into believing that two children might be as easy to parent as one. Unfortunately, this is not the case. These circumstances have everything to do with the convenience of adopting parents and nothing to do with the welfare of individual children. The more we learn about international adoption, the more knowledgeable we become about the risks involved. We know that in the majority of cases, the younger a child is when adopted, the lower the probability will be for attachment problems. In very young children, the less time they have spent in an orphanage, the quicker they'll transition to normalized family life once adopted. Children who have been institutionalized for short periods of time have usually lost less linear and cognitive growth while institutionalized. This means they have a better chance to catch-up to their peers quickly. Certainly, if the orphanage staff is composed of workers who are knowledgeable and proactive about developmental issues, the children in that orphanage benefit from increased interaction with caretakers and they suffer fewer developmental delays. Likewise, if the adopted child's birthmother has had decent prenatal care, has avoided alcohol and drugs during pregnancy, and if the subsequent orphanage stay has included decent amounts of food, adequate nutrition and medical care, the odds of later problems occurring can be reduced even further. In a perfect world, those of us who are the most well prepared, well read, well supported and knowledgeable would be the most successful whether we to adopt one, two, or more children all at the same time. But, those of us who have been in the adoption arena for a few years know that it is far from a perfect world. What often happens is that we think we have a perfectly solid foundation and feel we are adequately prepared but find that our new children come with lots of unexpected problems. The issue of two instead of one is a major factor by itself. This is a phenomenon that applies to birth children as well as domestic and international adoptions. Our adopted children bring hidden issues with them that we'd never be able to see on a video or read in a medical report. It takes repeated daily interaction on the most intimate family level to truly get to know our new children. Sometimes it takes months to uncover all the issues. We may discover neurological problems and developmental delays, sensory integrative dysfunction, "failure to thrive", parasites, dental and eye problems and undisclosed medical emergencies that need immediate care. Understandably, many bring emotional problems. Older children are at particularly high risk for post traumatic stress disorder and attachment difficulties. The older a child when is when adopted, the more days that child will have spent in someone else's care, and the more well defined his or her personality will be. Institutionalized or not, these children have almost always endured neglect, hunger, rejection, and lack of stimulation or interaction with dependable adult caretakers. In many cases there has been physical or sexual abuse. These children have been moved without understanding why, disrupted at critical periods of development, and flooded with high levels of stress hormones from trauma. They are behind in education, social and language skills and they all suffer grief from the loss of birthparents. They often have terrible frightening traumas to "forget" from former family lives. These are complex, fragile, and very needy children who come to live with us. They are high maintenance kids. One will be challenging for almost any parent; two are going to be more than twice as hard. Add to that the issues of acculturation and difficulty of communication for those first several months, and you have the veritable "Molotov cocktail". As an adoptive parent and advocate for adoption of older children, I know how tempting it can be to adopt two at once. Some parents I mentor feel "called" to save as many children as possible. Unfortunately, a lot of us (myself included) fail to project beyond the rescue. We hope that we'll somehow manage to stay unaffected by the need for multiple therapies, Independent Education Plans (IEPs) and tutoring help. People like myself invariably think we can do more than is humanly possible. We become enchanted with the idea of taking in as many needy kids as possible, completely abandoning all thought of what happens when Dad's out of town and Mom gets sick, or how you tutor three children with different learning disabilities all at the same time. I often feel like I'm a one-armed juggler. All three of my boys were over five years old when we adopted them. The two youngest are "artificial twins". Though ultimately rewarding and intensely satisfying, my experience has been enough of a challenge to make me a believer in the conservative method of adopting children one at a time and waiting a minimum of 1 year between placements. I applaud the agencies that have the foresight to discourage this practice in all but the most unusual and thoroughly reviewed cases. Artificial twinning is like walking through mine fields in a battle zone. Until our children have lived with us long enough to know and trust us, the potential for serious problems is ever present. Our "twins" have been home with us for the past 23 months. I look back and I'm amazed that my husband and I survived the stress that came to us so unexpectedly. We have had tremendous challenges with both children, but had a particularly difficult time with the youngest boy who was diagnosed "failure to thrive" once he arrived here. His need for help was all consuming and immediate. Within a few months, my career was derailed, and I became a full-time, therapeutic parent. The effort, I'm happy to say, paid off. We have become what I'd always hoped we could be - a loving and mutually dependent nucleus. All our boys are absolutely wonderful. They are three very distinct and strong individuals with incredible spirit. Although we fall into the category of families whose children have successfully made attachments to their adoptive parents, the process was fraught with difficulty and tension. Many families don't survive the pressures of these transitions. There are growing numbers of families in distress who choose disruption of one or both of the children rather than suffer through the worst of the adjustment. If you consider nothing else, think of the welfare of the children. You can't possibly be in two places at once. Very few of us are successful giving over 100 percent to two needy children. My advice as a veteran adoptive parent is to adopt as many children as you want and can afford, just be sure to leave yourself and each child at least a year or more to settle in and get to know each other before taking on one more. All of you will be the beneficiaries of your patience. As a final note, I would advise all families considering multiple adoptions to read the books mentioned at the end of this article. 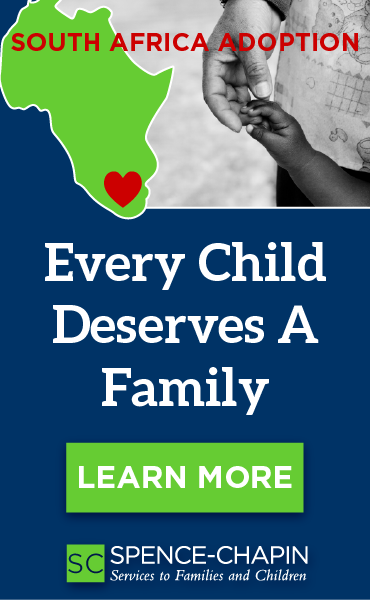 Please visit the eeadopt.org web site for a wealth of other useful information and resources on adopting Internationally. Harriet McCarthy , Co-Owner EEAC PEP -List www.eeadopt.org. In 2003, Harriet received the Congressional Angels in Adoption award for her work with and for adoptive parents. She is currently a member of the EEAC Board of Directors and a regular contributor to several adoption newsletters and magazines.